Nissan's drivable, pup-friendly prototype has plenty inherent potential, but it lacks the refinement to be great. 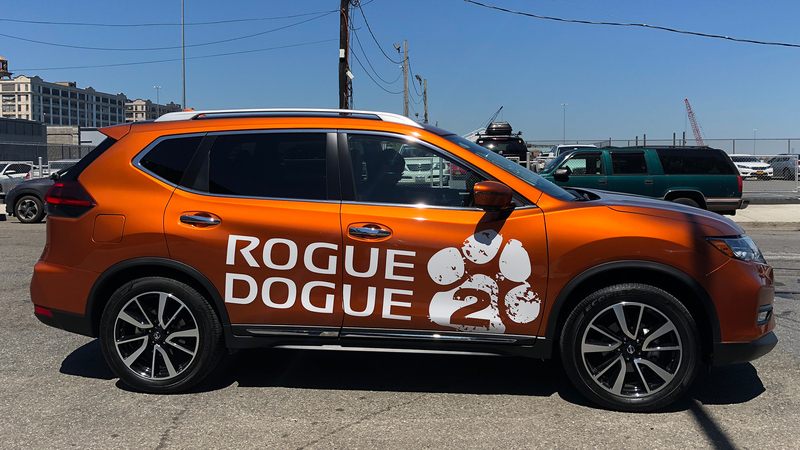 And lo and behold, Nissan's Rogue Dogue 2—the second-generation version of the carmaker's dog-friendly prototype vehicle designed to make canine lives (and their owners' lives) easier—comes equipped with that magic water-dispensing tube in the back. With a long weekend with the car ahead of me, I knew what I had to do. The not-so-incognito Rogue Dogue 2. And Oscar. Before I could get Oscar into prime hose-play conditions, I needed to cart him back to New York City from New England, where he was summering on Cape Cod with my in-laws. (Okay, I'm kidding.) In all seriousness, he did need to travel in the Rogue Dogue 2 for approximately four and a half hours, giving both dog and human ample time to test the pup-mobile in motion. As it turns out, this compact crossover's puppy area wasn't quite the right size; Oscar was a bit too big to be transported in the rear cargo area, which does come with a built-in dog pad. Little dogs, presumably, would feel much more comfortable. Saying goodbye to a buddy prior to the road trip. 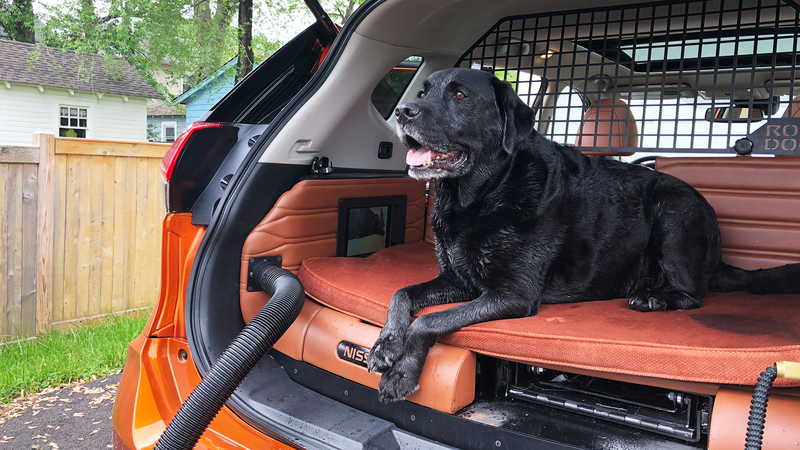 While the actual driving experience wasn’t my idea of thrilling—the extra weight from the canine gear such as the electronics, the retractable dog ramp for the rear hatch, etc. choke the already-modest 170-horsepower 2.5-liter engine and clearly messed with the suspension tuning—I did appreciate how much of a conversation-starter the Nissan was. In bumper-to-bumper traffic, one passenger even held her dog up to her window and waved excitedly as we crept by. Once parked and rear hatch popped, you notice all of the goodies they’ve packed into the back. Beyond the aforementioned hose, you’ve got a drawer stocked with a pet first aid kit, a washing accessory, Wet Ones, a leash, and a ball. There’s a blower for drying fur buddies after water play, and a fold-out ramp (that is narrow and clunky as all get-out). There were no built-in bowls for food and water as in the original Rogue Dogue. In their place, our loaner had an iPad, which came with a DogTV app (that we could never get to actually work). But as I correctly assumed, the pièce de résistance was the built-in hose, which featured surprisingly decent water pressure. As you can see in the video above, Oscar found this all-consuming—and magical. 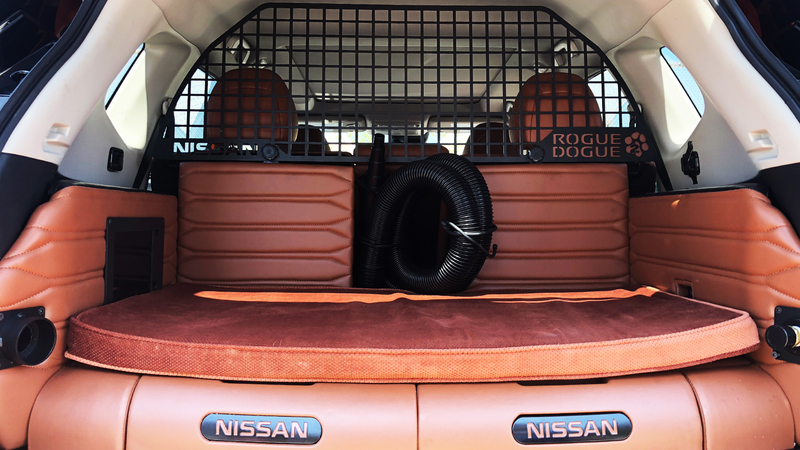 Despite my dog’s hose-fueled glee, I can’t say I would purchase the Rogue Dogue if Nissan ever put it into production. 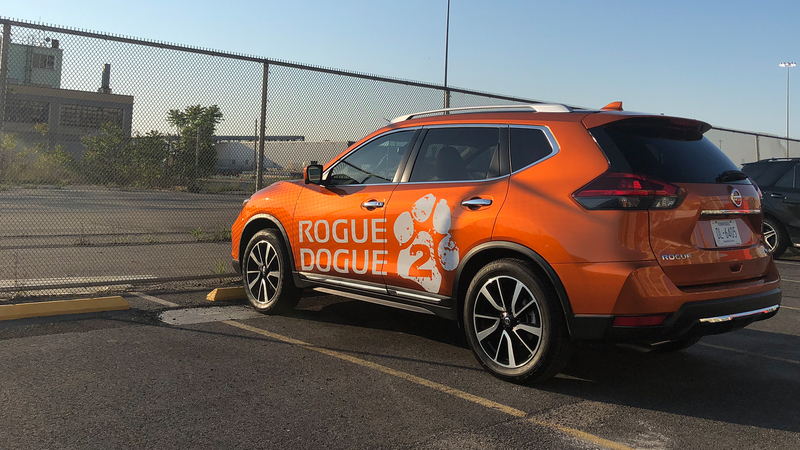 The accessories feel very much bolted on versus seamlessly built in, and as I mentioned above, the Rogue itself hasn't been upgraded or adjusted to offset the pup-friendly additions. Still, I appreciate that the carmaker actually produced some of these concept Rogues for us journalists to test in the real world, instead of leaving it on the auto show floor. And I’m going to go out on a limb and say Oscar appreciated it too. 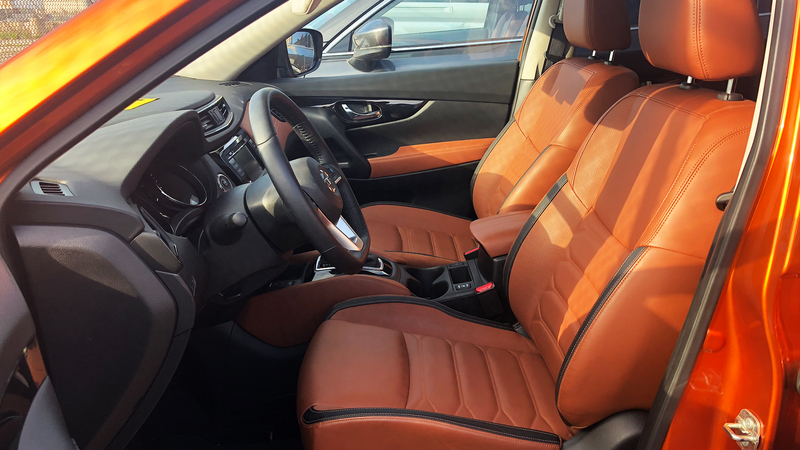 Nissan and Lucasfilm unveiled their collaboration on a custom Nissan Rogue Millennium Falcon for Solo: A Star Wars Story Thursday. Woof you buy this Nissan Micra?